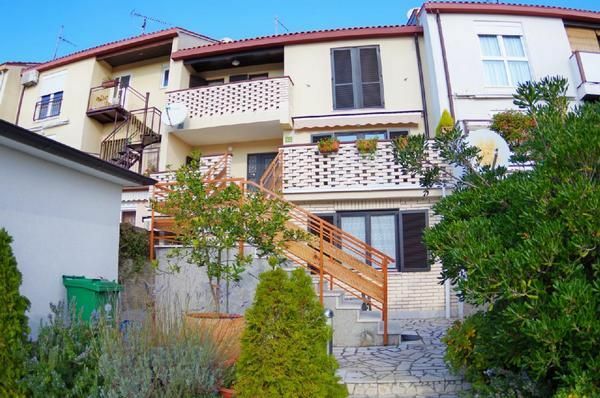 Comfortable 2 bedrooms apartment on the ground floor in the residential part of the city of Pula. Located in the family house with its private entrance and partially shaded terrace. During the warm summer evenings it is nice to sit and feel summer breeze while the barbecue dinner is being prepared. Apartment is equipped with WI-FI and AIR-CO. Recommended for guests who enjoy daily visit to the beach and evening walks through 3000 years old town, rich with history and entertainment. Families with children will be challenged to visit nearby aquarium or make one day trip to Aqualand on the north of the Istrian peninsula. Nature lovers will definitively enjoy cape Kamenjak in the nearby settlement Premantura or visit to the National Park Brijuni, the archipelago of 16 islands offering magnificent scenery experience. Pula is a center of the cultural summer events and famous names from the music (Sting, Manu Chao, David Gilmour...) and opera circles are being hosted in the biggest theater under the stars: the famous Roman Amphitheatre. There is so much to do and experince.. do not hesitate .. apartment JELA is right choice for holiday makers.. Comfortable, well located and reasonably priced.